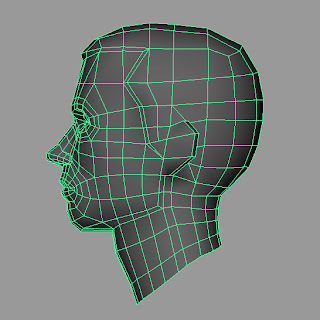 I have been doing some 3D again. It has been a while and I am feeling way rusty. I like doing 2D stuff more but needed to try a go at this again. 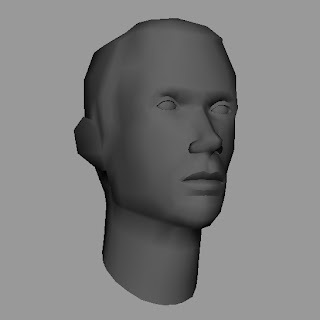 This is the base low poly head without textures, lights and no fancy render. I will try and do that stuff later. So far it's looking better not smoothed. But it's rolling pretty dang good. A few tweaks to the problem areas and you've got a limb crushing portfolio piece. lookin great man, how long did it take you? Thanks for the comments. It took me about 3 or 4 hours to get this far. 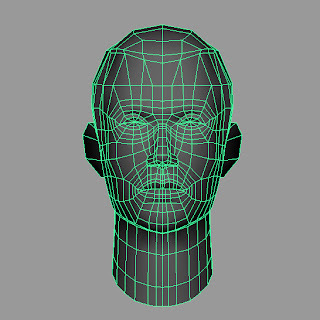 I spent more time laying out the UVs and I am now currntly in Zbrush modeling the high res. Hey Man this is Tim Coleman we met a few times at the UVSC drawing class, and then the last time I was in Utah. I check out you blog all the time cause of Aaron. You have got some amazing stuff man. I can't wait tho see the zbrush hi-rez. I want to link to your blog, hope that's cool. I really like your figure drawings! that red pencil stuff. great!